These are light, fluffy, and amazing! Combine the sifted ingredients and the liquid ingredients with a few swift strokes. Beat in 2 Tbsp melted butter. On heated greased griddle, spoon pancake rounds of batter to cook. 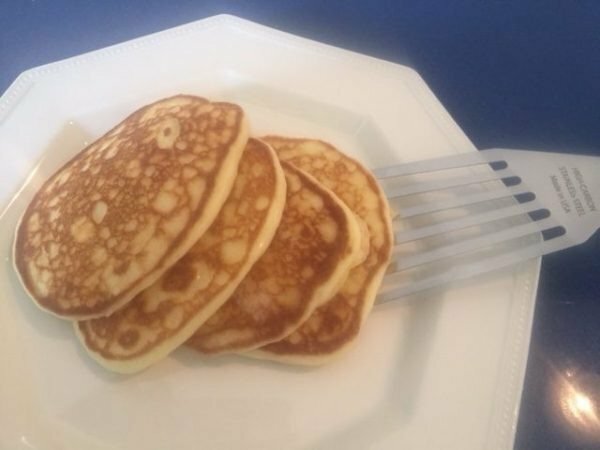 When bubbles form on batter, it is ready to flip. Cook a few more minutes, remove from heat and enjoy.